You are here: Home / Coaching Philosophy / This vs. That? 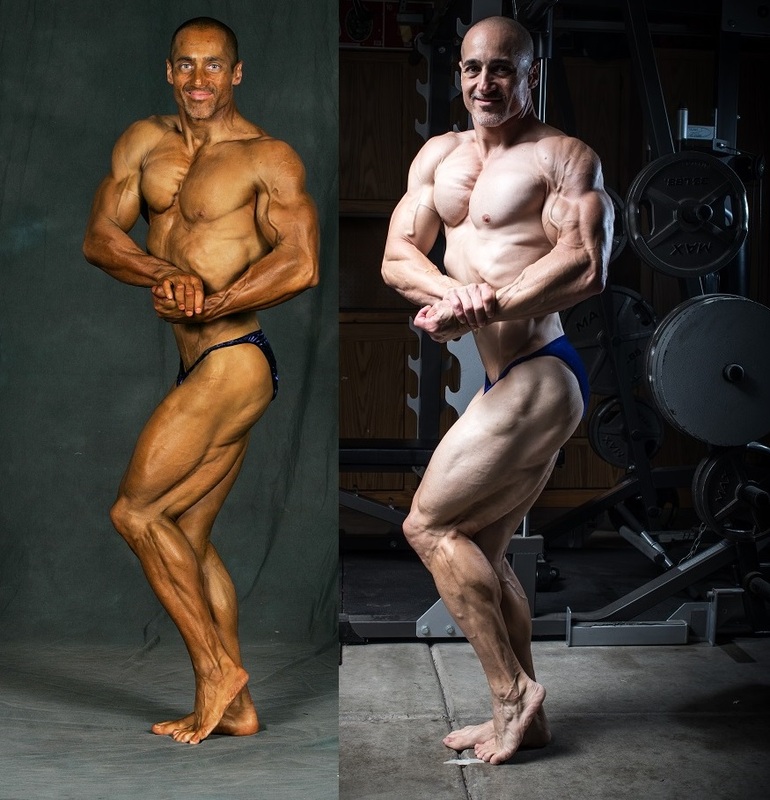 There are some in the bodybuilding industry who for a variety of reasons, try to persuade us (not always knowingly), that this sport is a black or white endeavor. These reasons stem from a desire for monetary gain, power, fame, followers, popularity, or maybe just to boost or defend the ego. Whether it’s through articles, YouTube videos, podcasts, social media posts, etc., the intent is to entice us using the “vs.” title or telling us “the best way” of doing something. Despite it being clickbait, it’s in our human nature to want to find out if the answers are indeed there. Those who want us to believe it’s a “this vs. that” world hope to capitalize on our naiveté. I’ll admit I also wanted to draw you in with my clever title, but my intention is open your eyes to the middle ground, and empower you by showing that bodybuilding is not a “this vs. that” endeavor. Less experienced bodybuilders can fall victim to a variety of “this vs. that” traps designed to convince you that there is a right or wrong, or “best way” of doing something. Whether it is low carb vs. high carb, high volume vs. low volume, low reps vs. high reps, high bar vs. low bar, sumo vs. conventional, IIFYM vs. clean eating, science vs. experience, the list is veritably endless. With little to no experience there is no way to know what works best for you, so it’s quite normal to look externally for answers. With that said, there are many wolves in this industry who see your lack of knowledge, desire for answers, and possibly your insecurities as opportunities to capitalize on. So-called gurus, fitness celebrities, social media stars, etc., are not always reliable sources of education. They are often only interested in persuading you that their methods, approach or product is the best or only way. But, not everyone in the bodybuilding world is a wolf. There are honest, caring people who want to help you become a critical thinker and a leader in your own journey. I wasn’t always a critical thinker or one who worked in the middle ground. There was a time long ago that my desire to improve came with a hefty price tag. I not only wasted my hard-earned money on what I was led to believe were worthwhile products, but more importantly I lost valuable time. I don’t blame myself entirely as I wasn’t educated or mature enough to filter what was presented to me. In 1992, I was introduced to Mike Mentzer’s High Intensity Training (HIT) by a successful bodybuilder (we’ll call him John Doe) at my local gym and I did find tremendous progress with that style of training within the first couple of years. However, in hindsight, I attained much better progress post HIT training working in the middle ground. I bought Mentzer’s book, training video, became a huge fan of Mr. Olympia Dorian Yates (who utilized HIT) and I bought his training video as well. I even started to preach HIT to others and to defend the HIT way of training when challenged. I became a disciple, a follower, and it became a part of my identity, which put me in a bubble. I was an avid disciple of HIT for years until I met the other coaches at 3DMJ in 2009. It took a lot of persistence from the coaches to humble me, but it was the best thing that happened throughout my entire bodybuilding career. Not only have I seen the best physical progress, but more importantly I’ve grown much more as a person, husband and a father to the best family one could ask for. My fellow coaches moved me to the middle ground and taught me how to become a critical thinker. I have had no greater success as an athlete, coach or human, than this change in my mindset. You might be wondering what is this “middle ground” I keep referring to? Think of the middle ground as a mechanic’s tool box. In that tool box, there are an array of tools to use for the many jobs a mechanic must perform. If the mechanic has to change an oil filter he’s not going to reach for a hammer unless he really wants to make the job a lot harder than it needs to be. He needs a special wrench to remove and replace the oil filter to get the job done as effectively as possible. Having a lot of tools in your toolbox is important, but probably more crucial to your bodybuilding career is having the right tool for the specific circumstance to get the job done efficiently. This means you need options, not black or white answers. If for example, I couldn’t do low to moderate reps with high to moderate loads because of joint pain, Blood Flow Restriction (BFR) training would be a useful tool. However, if that tool is not in my toolbox or I don’t know how to use it, then how can I make progress? Therefore, the question isn’t “BFR vs. heavy training?” rather, it becomes “when and how do I use the various tools in my tool box?” That’s just one example, but there are countless questions which shouldn’t be perceived as a “vs.” question, but rather a “when I should use” question, such as: “when should I use full body or body part splits?”, “4 day split or 5 day splits?” “front loads or back loads?”, etc. Context is everything, and you can become a better bodybuilder by learning how to implement a wider variety of tools in a wider array of circumstances. So, how do you fill up your tool box and learn to use many tools? You can start by educating yourself through honest, sincere, respected researchers and leaders in the bodybuilding field. Enrolling in the Shredded by Science Academy hiring a respected coach, or purchasing The Muscle and Strength Pyramid Books are all great ways to learn the fundamentals and start building your toolbox. Along with those great resources don’t fear getting in the trenches and leading yourself. Sure, you are bound to make mistakes along the way as I have over the years, but embrace these mistakes as learning opportunities. Understand that within those mistakes are priceless lessons that become specialty tools tucked away in your toolbox for future use. My final thoughts, the wolves don’t want you to gain credible knowledge and confidence because they fear starvation. Don’t fall prey to the “this vs. that” line of thinking. Head for the middle ground as it’s where you will learn how to lead yourself, and maybe, just maybe, you will save someone else from the big bad wolf. What a fantastic article and just what I needed to hear. Having an attitude of balance has made my physique the best yet. Supplement companies are so good at creating a need for a product that most people do not need. Fear drives consumerism but I prefer love of the iron to drive my progress. I am so grateful for your contributions to this iron game Jeff. They have helped me tremendously. Please continue to post these articles and YouTube videos. And I’ll be cheering for you at the next wnbf world’s! Pete! Thanks so much for the nice words. Happy to of had a small impact and definitely going to keep putting my experiences out there with the hopes of helping others. Thanks for the support on Worlds…means a lot! You’re one of my biggest inspirations in natty bodybuilding and someone I always come back to when I need an older and wiser perspective rather than constantly getting into the “VS” debate as a 23 years old. Really needed this text in 2018. Thanks Jeff!